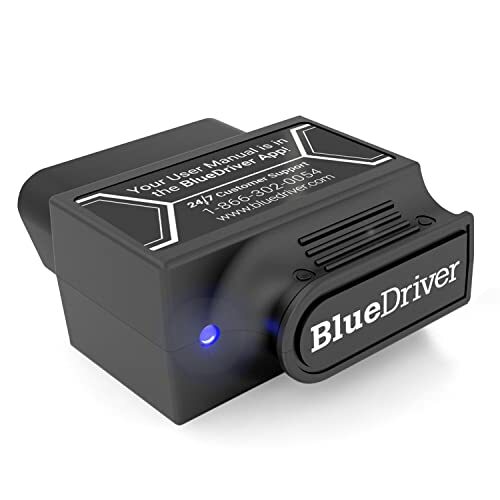 After reading this step-by-step instruction, you will definitely know How to Use an OBD-II Scan Tool to do testing on your vehicle’s systems. 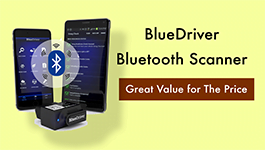 Bluedriver is one of the Best OBDII Scan Tools today. Your check engine light coming on? It doesn’t mean you have to stop driving the vehicle completely. With all the complexities of a vehicle nowadays, it’s good that you have an OBD-II scan tool to help you diagnose and fix the problem. This will also save you a lot of money on repair fees in the long run. We’ve got you covered with all the steps to take to get your car back in shape! 1.1 Step 1: Find the Diagnostic Link Connector (DLC) on your vehicle. 1.2 Step 2: Plug in the OBD-II tool into the DLC. 1.3 Step 3: Enter the information as requested on the scanner screen. 1.4 Step 4: Check the menu for codes when the scanner stops running. 1.5 Step 5: Figure out what the codes mean. 1.6 Step 6: Proceed with the diagnosis. 1.7 Step 7: Reset the check engine light. Step 1: Find the Diagnostic Link Connector (DLC) on your vehicle. This is usually a triangular shaped connector that can be found underneath the steering column. If you can’t find it for some reason, check your owner’s manual or do a quick online search so you know exactly what you’re looking for. Step 2: Plug in the OBD-II tool into the DLC. When it’s fully inserted, turn the key to the ignition is on. But don’t start the engine. The scan tool will start communicating with the internal computers in your vehicle and you’ll see some messages on the display screen. If for some reason you don’t see anything on the screen, then make sure it’s fully plugged in. Step 3: Enter the information as requested on the scanner screen. This might include the Vehicle Identification Number (VIN) and other basic information about your vehicle. Every OBD-II scan tool differs regarding the amount of information you have to enter. Step 4: Check the menu for codes when the scanner stops running. This step varies among the different types of scanners. Some will display only the codes that are problematic, while others will allow you to choose which codes you want to see. Step 5: Figure out what the codes mean. Even though the displays may be different, the codes should pretty much be the same. They will generally start with the letters P, B, C or U (Powertrain, Body, Chassis and Undefined). The first number after the letter correlates with the make of the vehicle. The second number refers to the specific part of the vehicle, like the transmission. The last two numbers are for the exact problem that’s occurring. So you’ll need to check an online code chart to get that information. Step 6: Proceed with the diagnosis. You have to be a pretty skilled person when it comes to understanding vehicles in order to diagnose exactly what’s wrong. The code will tell you what’s wrong, but not necessarily what you need to do to fix the problem. At this point, you can either take your vehicle to a certified mechanic’s shop to fix the problem, or you can do some research on your own to find out if it’s something you can do yourself. Sometimes it will just be a fuse that is easy to replace. Other times it could be a little more serious that requires the expertise of someone who knows exactly what to do. Step 7: Reset the check engine light. Once your vehicle is fixed, the check engine light should go away after driving it for a little while. But if you want to get rid of it right away, you can use your OBD-II scan tool to take care of that. Just go to the main menu and find the option for the check engine light and press the reset button. After a few seconds or minutes, the light should be turned off and you’ll be on your way! As you can see, it’s not very difficult to use an OBD-II scan tool. If you follow these simple steps, you won’t have any problem diagnosing the issue with your vehicle. However, if you have any problems at all, you can take your vehicle and the scanner into most auto parts store and they can help you out with it. The scan tool itself is a complicated device, but luckily, it’s not hard for the average person to operate!